Great Rims, I didn't think you could add a pinstripe, but a little 7mm rim tape & patiences, your good. Also, make sure you order lugs to match. 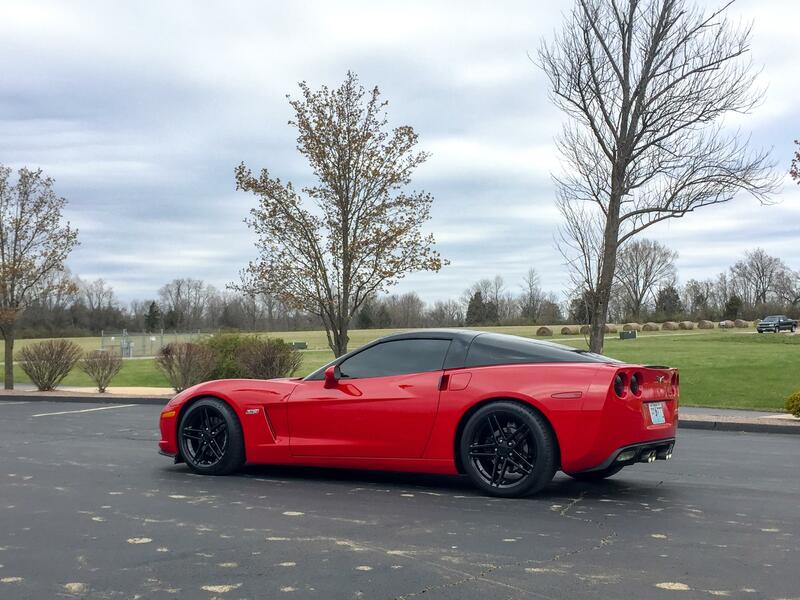 These are my second set of c6 Z06 wheels, had the deep dish version with the polished lip last time, and they where great, but having the all black is something I had to have. Perfect look on all f bodys & corvettes... Almost everyone in my car club has these! Great set of wheels. They look perfect on my 99 FRC. Awesome customer service and fast shipping. Couldnt ask for anything more. 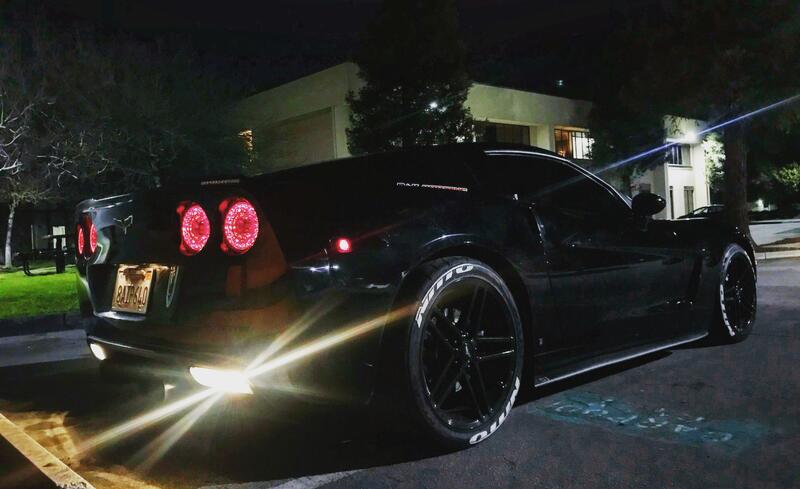 I bought these wheels to enhance the look on my ls3 c6 corvette and oh boy they did just that. It looks amazing. Wheel quality is awesome. Very light wheels. I get compliments all the time. They were delivered very quick. Great price also. I recommend these. Flawless finish and fit for a great price. Fast shipping, nice wheels at a nice price. These look great on my '08! 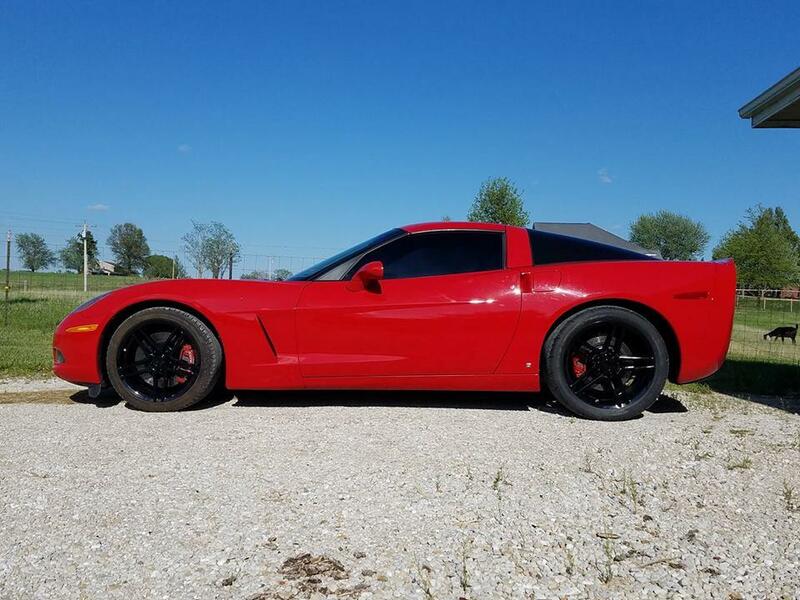 These wheels gave my vette that badass look I wanted. The package deal with the nittos fits perfect and now its looking like a dream. Top quality and customer service as always. Took my 2011 Stingray to a new level. My vette is white and the black chrome just jumps out at you...Totally changed the look and vibe of the car!!!! The wheels look and fit great. Much needed upgrade over the chrome on my 08 base Vette. Super fast shipping and great communication.